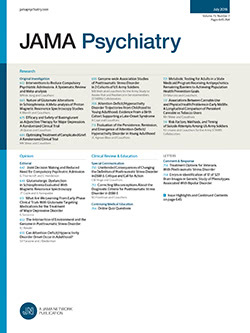 • This report summarizes presentations made at a National Institute of Mental Health—Sponsored workshop dealing with recurrent winter depression, or seasonal affective disorder (SAD), and with phototherapy as its treatment. Workshop participants reviewed major issues in the following areas: (1) diagnosis, clinical characteristics, and epidemiology of the disorder; (2) critical issues in phototherapy research; (3) biologic effects of light and mechanism of action of phototherapy; (4) biologic abnormalities in SAD; and (5) animal models and their applicability to the study of SAD. Most research evidence to date supports the efficacy of phototherapy in the treatment of SAD. However, considerable controversy remains concerning its mechanism of action and the underlying pathophysiology of the disorder. These and other unresolved issues are reviewed, and areas of consensus in the field are identified.